Arkaos: Capture video without a card! Leave a Comment on Arkaos: Capture video without a card! Using NewTek NDI technology (Video over IP, video over ethernet / cat6), Arkaos can se video from other sources or other computers… WITHOUT using a video capture card! Best of all- it’s FREE! 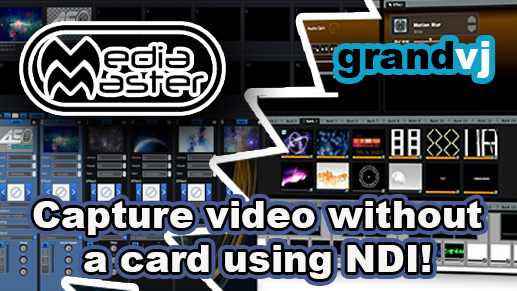 This tutorial works for both Media Master and GrandVJ.